Leading children's furniture supplier, Childrens Bed Centres are encouraging parents to ensure that their children have the right sort of bed. A spokesperson for Childrens Bed Centres explained, "It's essential that children have the right sort of bed and bedroom furniture to meet their needs. Younger children have different requirements from their bedrooms than older children, and so what might have been the perfect bedroom layout a few years ago may no longer be suitable. Perhaps your child is grumpy because they aren't getting a good night's sleep, can't do their homework comfortably and have nowhere to play, not just because they are approaching their teens." Cabin beds are the perfect type of bed where space is limited. Combining a bed, chest of drawers and wardrobe or cupboards will provide plenty of space for keeping clothes, toys and other items organised, without taking up any more floor space than a traditional bed. For smaller bedrooms, these are perfect. Additional bedroom furniture, such as wardrobes, chests of drawers, tables and chairs and bedside tables will help to make the child's bedroom even more functional and practical. It will also encourage them to be tidy, as there will be a place for everything. Choosing quality bedroom furniture means that it will be long lasting. It's important to ensure that colours and designs are going to be suitable as the child grows. A football inspired tent bed will be fine for younger boys, but it could be awkward or embarrassing as the child gets older and has friends over. Children have different requirements from a bed compared to teens, and therefore a study bed, or sleepover bed might be the most appropriate. Also, it should be remembered that mattresses should be replaced at certain intervals too. 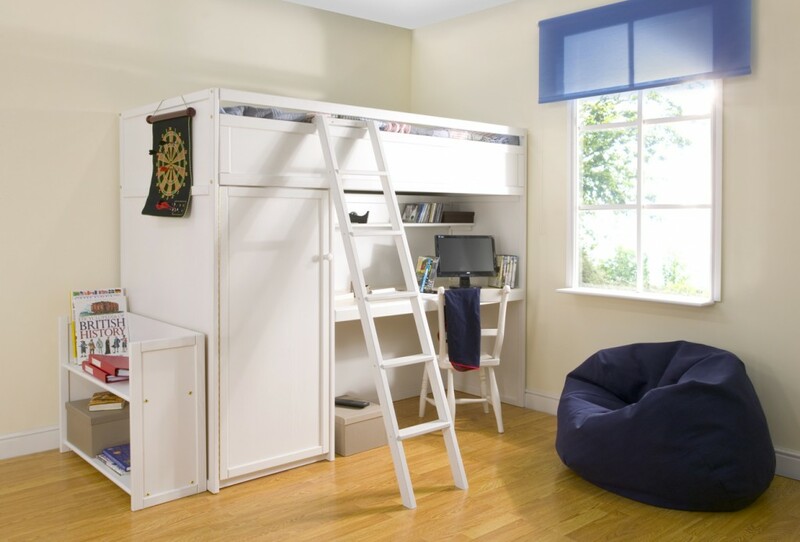 Additional accessories such as desks, matching shelves, bedding and more; is available from Childrens Bed Centres in order to complete the look of the room, and to ensure that a child has everything he or she needs, when they are sleeping, studying or playing in their bedroom. Childrens Bed Centres offer many different styles and colours of beds to appeal to children of all ages and interests, from pretty princess inspired four poster beds to study beds with a built in desk - all beds are assembled for you so that there is no need to spend the weekend putting a bed together, or having to try and make it before the children need to go to sleep. Representing fantastic value for money, there has never been a better time to buy a new children's bed. Children have different needs when growing form a toddler to teenager and Childrens Bed Centres encourage customers to think about whether the bed and furniture in their child's room is suitable and consider the longevity of items before making a purchase. Find out more by visiting http://www.childrens-bed-centre.co.uk or by calling 01244 379747 today.